Sometimes it takes a band a few tries to figure out exactly what kind of album they want to make. And sometimes they need to give themselves a “mulligan” album in the process. Such was the case for the Los Angeles-based (yet Portland born) band Buddy. Less a band in the conventional sense than a songwriting collective led by a singer-songwriter of the same name, Last Call for the Quiet Life is the first full-length album from the project since 2007’s largely acoustic Alterations and Repairs. 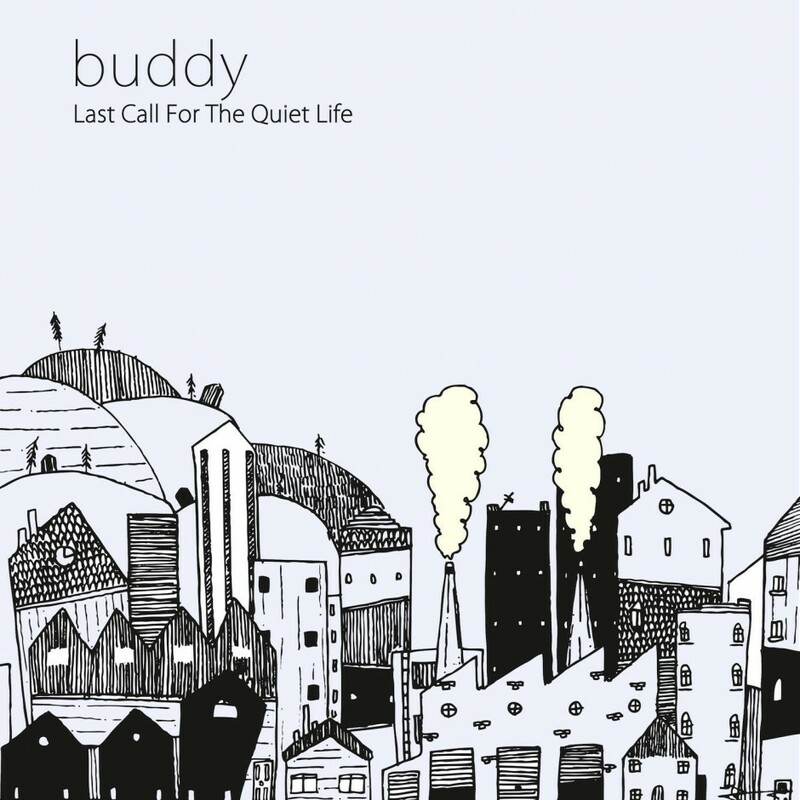 As previously alluded to, a sophomore effort was recorded in 2009, but Buddy was unsatisfied with the results and the album was ultimately tabled, although five tracks from it were released as Campfire EP. While it is anyone’s guess what the rest of that release might have sounded like, Last Call for the Quiet Life was well worth the wait for stalwart fans of acoustic-based Pacific Northwest indie rock. Buddy has self-deprecatingly described his sound as “wimpy core.” Whether or not that is necessarily an accurate assessment of his musical style, it is fair to say that he is most at home in the context of a ballad. Nowhere on Last Call for the Quiet Life is this more apparent than on the stirring “Boxing Elbows,” on which Buddy jettisons the acoustic guitar in favor of piano peppered with an occasional flourish of Eleanor Rigby-esque strings. A few tracks later, “Behind It (Bad Advice)” sees the album’s first (and probably most successful) foray into electronic dance elements and demonstrates that the band is unafraid to experiment a bit. One of the most noteworthy moments on the back half of the record is the tune “Stare Too Long,” which evokes the dreampop sound popularized by bands such as Beach House, and contains a lyrical gem that will elicit an “Amen” from anyone who has ever been told to smile by a stranger on the street: “Nobody cheers up when told to.” Last Call closes with “Scrap Metal,” which creates a hypnotic atmosphere through the use of creative panning techniques on the opening organ and percussion. This is one of those recording moments that must be listened to through headphones to appreciate the full effect. As the piece unfolds, the synths and vocals combine to paint a sound mural that is at once colorful and somber. If asked to describe Buddy’s music using only two words, “colorful” and “somber” would be two very likely contenders. Written by: BBS on 09/08/2014. This entry was tagged buddy, ira leonard. Bookmark the permalink.